Increasingly more people use the services of the European Consumer Centre Czech Republic. During the past two years, their number increased from 1,117 in 2016 to 2,849 last year. Consumers asked for free-of-charge information and direct assistance in resolving their disputes against traders from other EU countries, Norway and Iceland. Success rate in out-of-court resolution of cross-border cases was 46%. The network of European Consumer Centres is financed by the European Commission and the participating states. The Czech office operates within the Czech Trade Inspection Authority. The number of consumers using the service of the European Union has increased rapidly. There were 1,117 clients in 2016, and 1,633 in 2017 while last year it was 2,849. That represented an increase by 155% within two years. „People shop increasingly more cross-border in Europe, especially online which is indicated also by the structure of received complaints. Consumers are also more aware of their rights in the internal market. When there is a problem, they want to enforce their legitimate interests in an out-of-court way,” explained Ondřej Tichota of the European Consumer Centre Czech Republic. Most frequent cases relate to delayed or cancelled flights and claims against online traders from other EU countries. Other areas also include complaints regarding travel packages purchased from German tour operators, use of accommodation services e.g. in Austria and with car rental companies especially in the Mediterranean. Among others, ECC helped a Czech consumer who ordered a bed in a German e-shop for €594. The trader indicated delivery in September 2018, but after the purchase they informed the consumer that the delivery date would be postponed to November and that the date can even be later. The Czech consumer withdrew from the contract, but the vendor refused the withdrawal stating that they would deliver the bed anyway. Czech lawyers together with ECC Germany managed to make the seller reimburse the whole amount. “Centres cooperate on the out-of-court resolution of cross-border complaints in the following way: the consumer communicates with lawyers in their home country and their mother tongue. After assessing the documents, these lawyers transfer the case to their colleagues in the country of the trader who contact the trader in their other tongue and with the knowledge of local law, negotiating an amicable solution,” describes Ondřej Tichota. 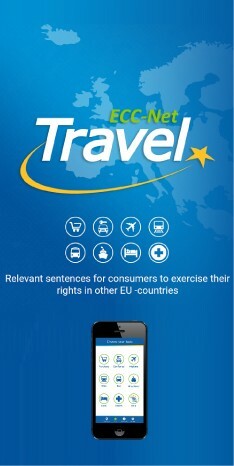 For more information visit www.europeanconsumer.com. The ECC-Net has assisted consumers for 14 years now. If it doesn’t succeed in the out-of-court way, it refers consumers to simplified court actions used within the European Union. The free internal market was created for EU citizens based on the agreement of the member states. “Thanks to the states there are unified rules for buyers on the EU level, so Czechs have minimally the same rights as for example German, Austrian and all other consumers in the EU. For example, you have the two-year period for claiming defects of goods as well as the 14-days period to withdraw from a contract when shopping online no matter where the trader is based within the EU,” summarized Ondřej Tichota.